Tickets at www.lonj.org or by calling 908-655-6023. First commissioned for television and premiered by NBC Television Opera Theatre in 1951, Amahl has become a treasured part of many families' holiday tradition. A poor young boy is awakened in the middle of the night by a knock on the door, and who should he find but three kings following a star. This one-act opera emphasizes generosity and the importance of family, and is the perfect performance to start off your holiday season. LONJ proudly presents Amahl for the fifth time in the company's 24 year history. LONJ is thrilled to be collaborating with the New Jersey Youth Chorus for the first time. 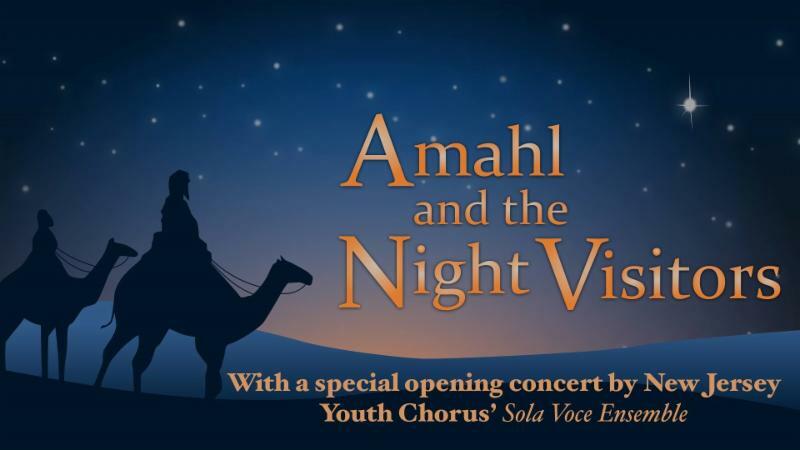 Under the direction of Tara Postigo, the New Jersey Youth Chorus' Sola Voce ensemble will perform a special concert of seasonal selections before each Amahl presentation. 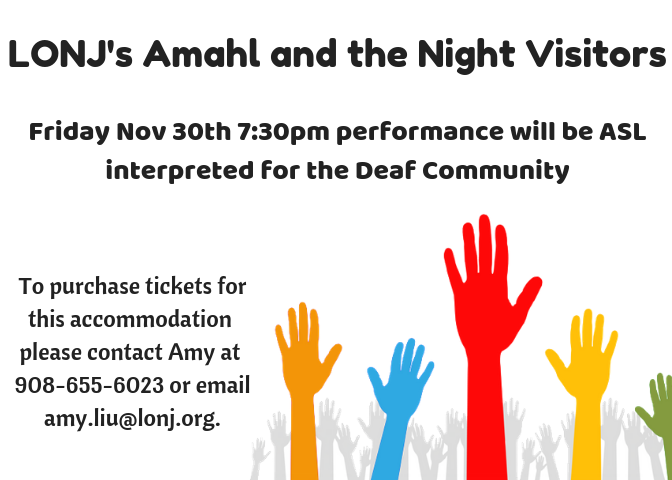 Reserve tickets near the interpreter at our 7:30 performance on Friday, November 30 by calling Amy at 908-655-6023 or emailing amy.liu@lonj.org. Admission is reduced to $12 for two tickets for our Deaf Patrons.